‘So You Think You Can Dance’ winner Matt Flint is a ball of energy. 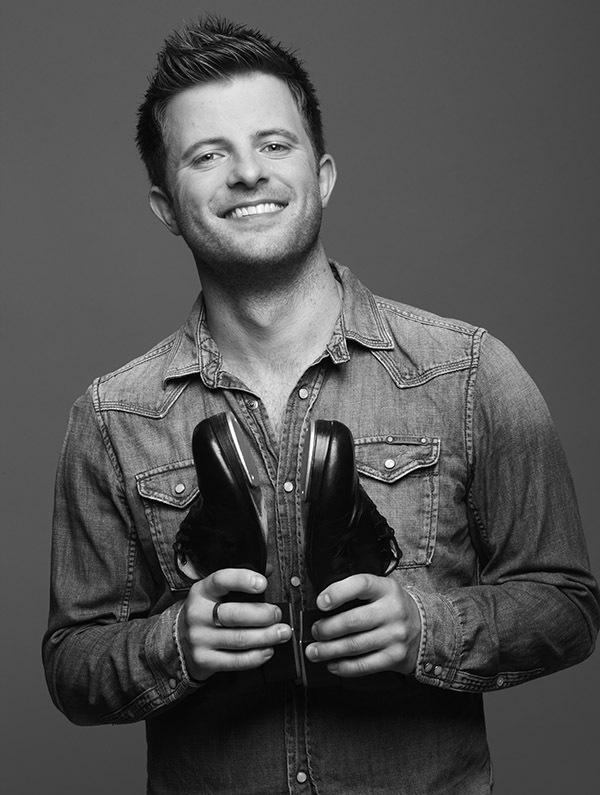 Having won this prestigious competition and having danced alongside many well-known music artists, it is any wonder Matt has time for anything else. Despite this, he is running a dance competition named “Can You Dance?” with dancer Tom Shilcock, which will be held in Norwich, Nottingham and Leeds. I started dancing in 1994 at the age of 12 (now you know how old I am!). I went along to the local dance school in Scarborough and did their new boys street dance class. I was quite sporty and always up for something new – I loved it instantly. I was taught early on from my dance teacher just how hard you had to work and believe me, she took no prisoners. I struggled at first having to perform in front of friends but I loved dancing most nights of the week and was excited to get to London. How long have you been performing/choreographing? Did you start young? I have been dancing for 20 years now. Wow, it has flown by! I started fairly late by comparison. I have always been into choreography – I started just by choreographing myself but now I thrive on the challenge of choreographing whatever is put in front of me! I trained at Laine Theatre Arts. It has always been one of the top colleges, my time there was fantastic. The training was intense, you could be dancing for 7 hours a day. Never the same, which I love! Aside from the choreography work, Can You Dance? fills my day. We are just about to enter the 2014 season so things are really starting to build up nicely! Tell us a bit more about Can You Dance? CYD? is what the regions have been craving for a few years… In a nutshell, we are bringing top Choreographers, Dancers, Colleges & Dance Organisations to counties that haven’t been able to experience anything like it before! The day consists of Masterclasses, a Showcase, an Industry Exhibition and is the perfect opportunity for young dancers to discover what the next step is for them. Where can we find the conventions this year? We will be in Norwich, Nottingham and Leeds – so come and say hello. I do a lot of Bikram Yoga, a couple of gym sessions a week, plus all of the dancing I still do. Probably So You Think You Can Dance. Not because of winning, but because it has opened lots of doors which I’d been struggling to open for many years. The fact it’s my passion and I feel like I’ve never worked a day in my life. The social aspect. The fitness. Get your head down and work hard. Sweat in every class. Look for inspiration outside of your bubble. Luck favours the prepared! Last week I was choreographing Kylie on Sport Relief. This week I am in pre-production for a new musical. Over the next month I’m working on an advert! Previous Previous post: Stiff Competition Or Chance To Connect? Next Next post: Are You Dance Direct’s Student Ballet Dancer Of The Year?